Welcome to Mr. Modular Inc.
Mr. Modular Inc. is your localty based Modular Home Construction Company. 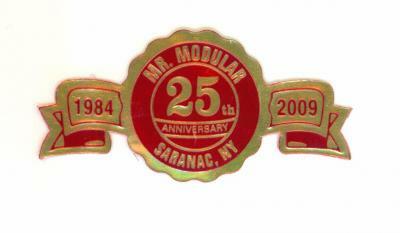 Based out of Saranac, New York, Mr. Modular Inc. provides the Adirondacks with high quality Modular Homes. Owned and operated by Tom Maggy, a life long resident of the area the buyer can rest assured of Honest, Quality and Integrity in every Modular Home purchased and constructed. Tom hopes this will provide you the buyer, valuable information on your Modular Home purchase. With over 25 years experience in the Modular Home construction business, Mr. Modular Inc. is the only Modular Home company that provides the buyer with full construction, every aspect of home construction is completed so NO subcontracting is required. In addition, Mr. Modular Inc. sells property LOTS in several locations in Plattsburgh and surrounding areas. Mr. Modular Inc. has provided beautiful Cape Cod and Ranch styled homes throughout the Adirondacks. Please read further into Mr. Modular Inc. website to view actual photos and LOT locations.